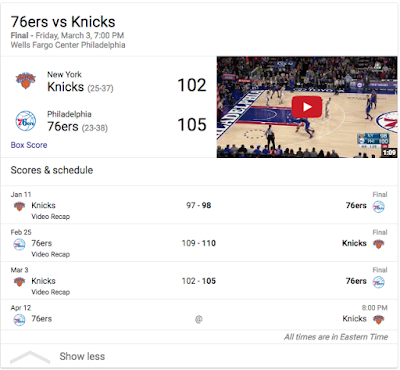 If you can not recall (or want to prove to your buddy that you are correct) the scores between teams this year, simply use Google and type in Team vs Team. This will also show you the remaining date(s) of future games. 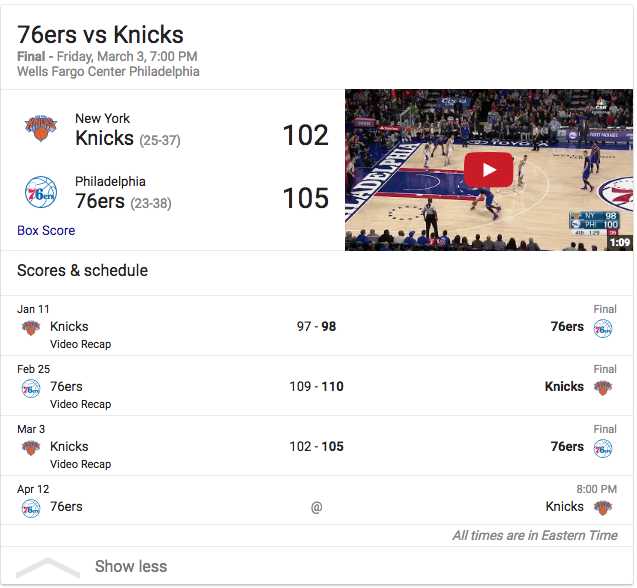 The example below shows the 76ers vs the Knicks this year followed by a 21 second embedded YouTube video.